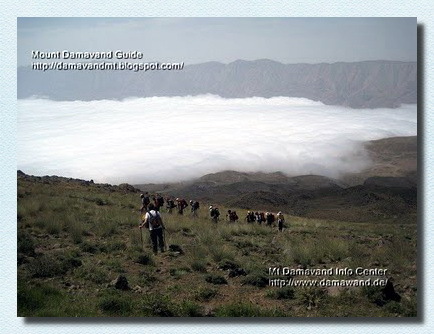 If you are interested in traveling to Mount Damavand Iran for hiking trekking, climbing or ski mountaineering, you can take part in two distinctive tour categories, an exclusive private tour or a group tour. The following services and logestics are supported exclusively for those clients who have registered their tours to Damawand Mountain . • Accommodations in Camp1 Polour Hut and Camp3 New Hut. • Transfer to/from Tehran to the first camp. • Transfer by 4WA cars to/from the first camp to the second camp. • All scheduled meals while in the mountain huts. • Mountain food and lunch box during the expedition. • Hotel reservation in Tehran. • Sleeping bag and tent (if necessary). Services and logistics marked by (*) are excluded and not supported in group Tours. • Hotel charges in Tehran. • Medical/evacuation and trip insurance. • Unscheduled stay day/night on mountain or at Tehran hotel.